From our Grand Canyon tour, We approached towards the Entertainment capital of the world, The city of Angels, LA (Los Angeles). 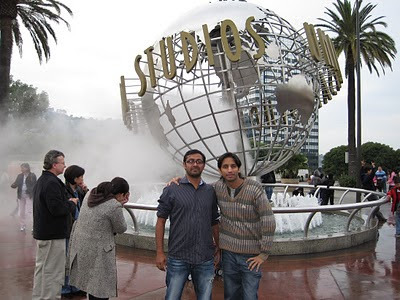 We entered the city of Hollywood, LA, largest city in California and second largest in US after New York city. We reached at the Rajat's friend home, who was half drunk, present at some other friend's house. 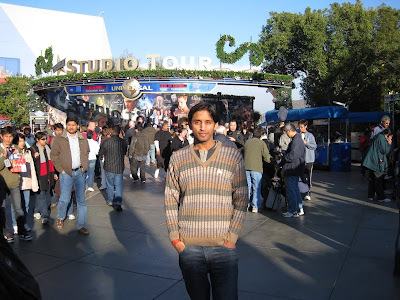 We have a big chit-chat among us with many short stories of Rajat's school-college days. Later on we proceeded to our hotel. Its already to late in night, and another busy day was on our cards. In the morning, We had the breakfast and have a round of golf course of our hotel. 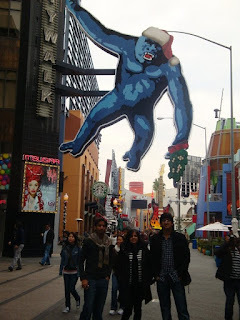 As everyone was in ready to go, we approached to the Universal city. 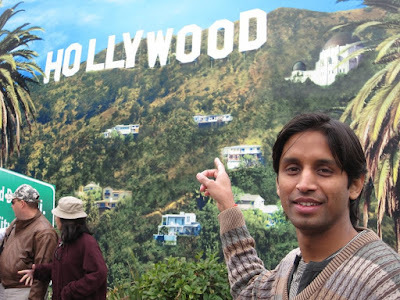 In the way, We catch the "Hollywood" sign and Bevery Hills, place of movie stars' home, and spectacular sightseeings. Welcome to Hollywood: The whole area, "Universal Studios Hollywood" includes Theme Park, Studio Tour, CityWalk, Cinemas, and Concerts. The City Walk: There is no entry as such to city walk, but the place offers everything for each age group, Be it any season or any reason. 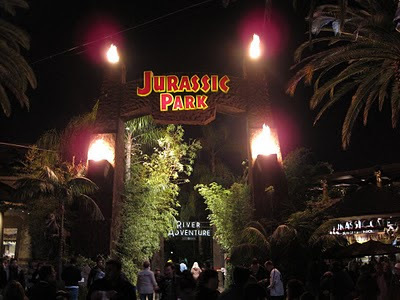 Then we move towards the most watchable (reason to be) tour in LA, Universal studios. The lines (even being too many) were so long, that I never expected, bigger than the ticketing system for railway reservation in India. Suggestion: Better to purchase the ticket online. House of Horrors: The first place where we entered inside was house of horrors. So be prepare to meet some scary character. But to really enjoy it in thrill sense, roam around the house alone, not in a group. TV Shows as: The Unit, Desperate Gousewives, Heros, CSI, House, Ghost Whisperer and many more. 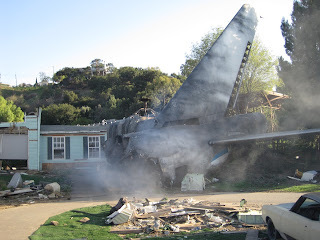 Movies as: Angels and Demons, War of the Worlds, Bruce Almighty, Spider-Man 2, Psycho, Jurassic Park, Apollo 13, Cast Away, Fast and Furious 4 and many more. 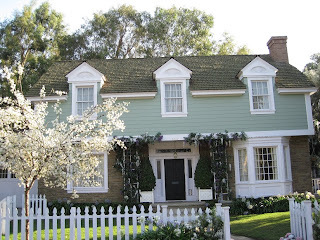 Many of the sets are always in production, and in use. 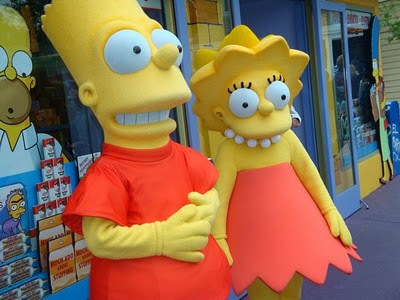 Simpsons Ride: This Krustyland theme park was really fun with thrill. Once you get to the ride and locked in the chamber. The thrill ride ends only at the end. You can't stop yourself without screaming, ooohing, aaahing and laughing throughout the ride. You will get the surprises one after another like flying nowhere, underwater, skywalk, breaking the roller-coaster, hitting from the big sphere, hanging in the 3rd world. 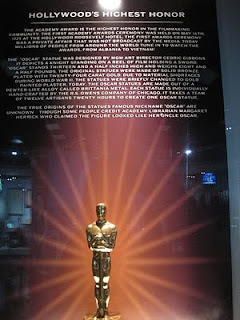 The NBC Universal Experience: Get to see the Oscar statue on display. 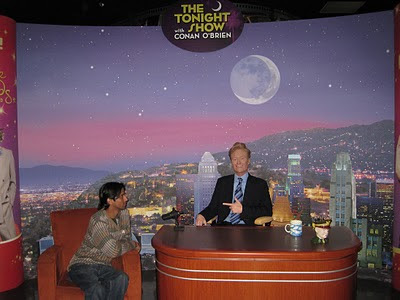 Get to sit with "The Tonight Show" host Conan O'Brien (New wax figure of the star). In the display, There were dinosaur maquettes from Jurassic Park film series, miniature moon and Space Capsule from Apollo 13 and many idols as main attractions. BackDraft: I get the chance to feel and see the live heat and sparks effects and high temperature blast with excitement. So, After this we walked out the most visited place in LA. You are also ready to move some other page now or place visited. nice place to visit in USA, must visit in USA. u enjoyed a lot.